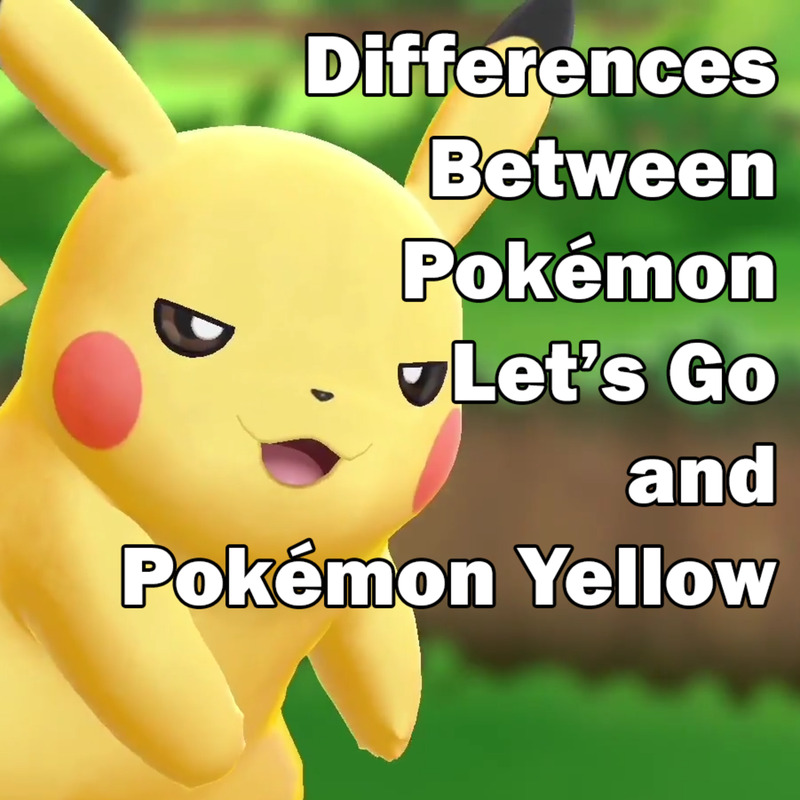 What Are the Differences Between "Pokémon Let’s Go" and "Pokémon Yellow"? 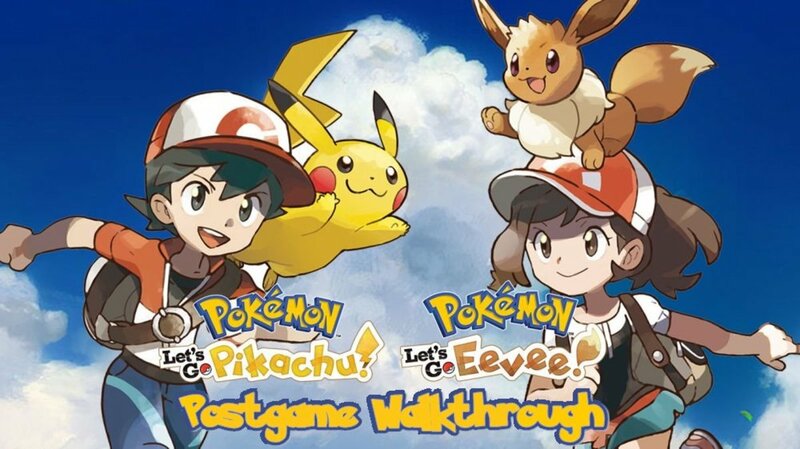 What are the Differences Between Pokémon Let’s Go and Pokémon Yellow? Pokémon: Let’s Go, Pikachu! and Let’s Go, Eevee! are essentially remakes of Pokémon Yellow, which itself was an updated version of Pokémon Red and Blue in which more closely follows the Pokémon anime series. While the overall story does remain faithful to the original Pokémon Yellow, there are a number of changes and updates present in these new versions of the first-generation Pokémon games. 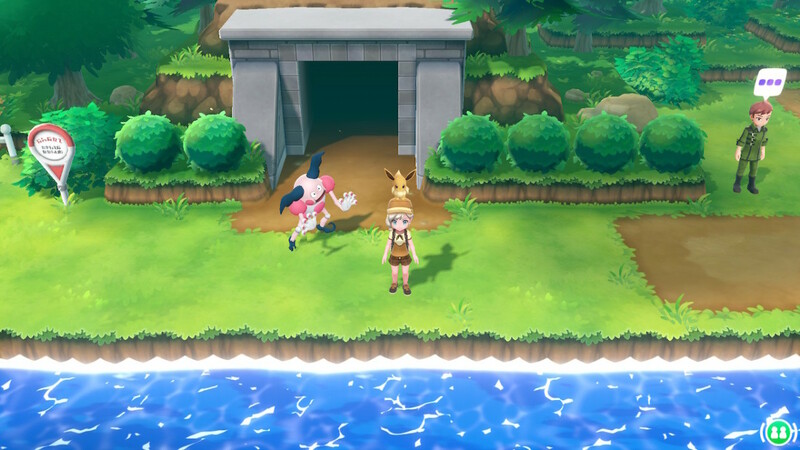 One of the biggest changes between Pokémon Let’s Go and Pokémon Yellow (and every other main-series Pokémon game) is the change in how you capture wild Pokémon. 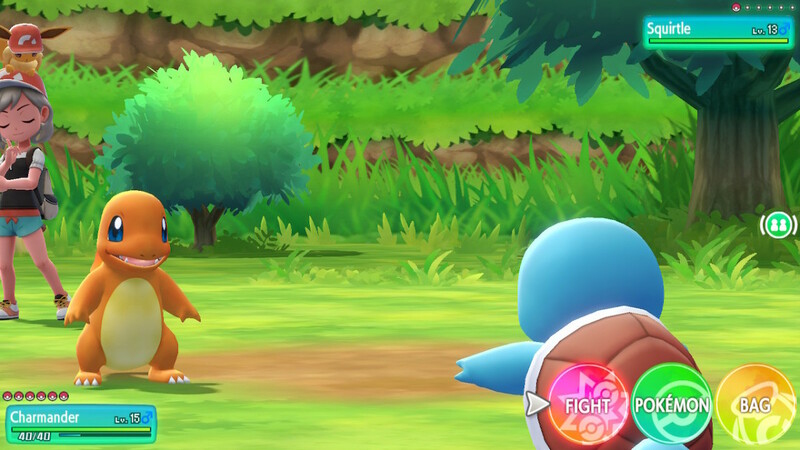 In the new Nintendo Switch titles, you will see the wild Pokémon wandering around on-screen. This makes it easier to have encounters only with those Pokémon you are interested in capturing. Once you encounter a wild Pokémon, you do not need to battle it to weaken it before throwing a Poké Ball. The capturing mechanic is like that of the Pokémon Go mobile game. You simply throw a Poké Ball at the Pokémon as the circle indicator shrinks. Some long-time fans may dislike this change, while others may embrace it. While it does make it less time consuming to capture Pokémon, it is a radical departure from the main-series Pokémon games. 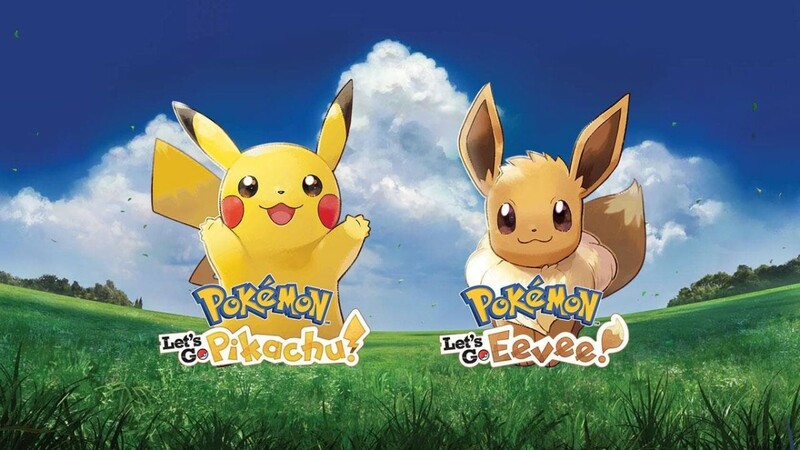 Another difference is that you can choose either Pikachu or Eevee in Let’s Go by choosing which version of the game you want to purchase. 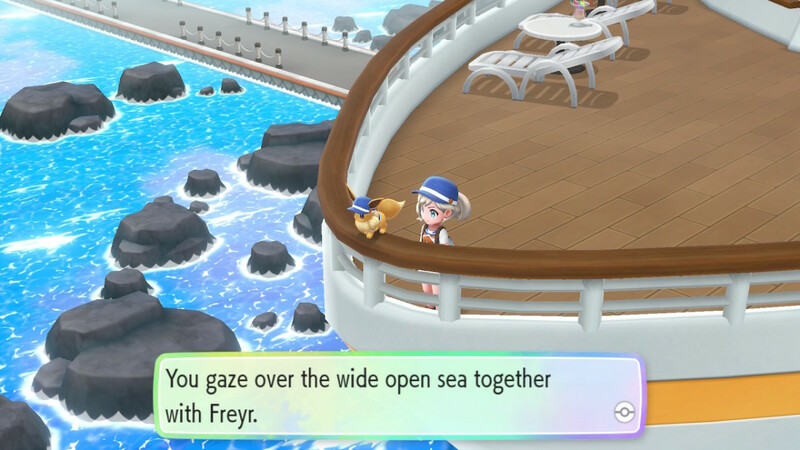 Instead of being stuck with Pikachu as your started, you have the option of traveling with either Pikachu or Eevee, who will remain outside of its Poké Ball throughout your adventure. In addition to Pikachu or Eevee, one of your other Pokémon can stay outside of its Poké Ball and travel alongside you. 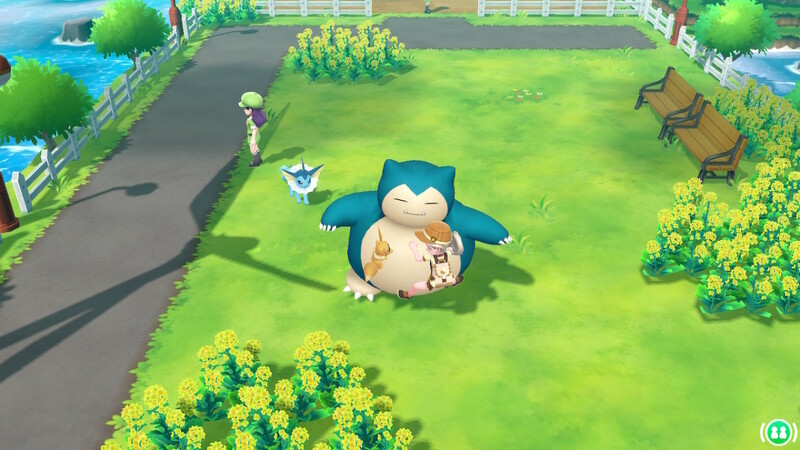 If you take a larger Pokémon out of its Poké Ball, you will be able to ride it. When you take a Pokémon outside of its Poké Ball, sometimes it will find items for you. You are also able to play with your partner Pokémon in a feature similar to the Pokémon-Amie feature introduced Pokémon X and Y. You can pet your buddy Pikachu or Eevee, change its hairstyle by petting its head in specific patterns, and feed it berries to make it happy and increase its friendship level. In the main-series Pokémon games, you must use a PC in a Pokémon Center every time you want to switch the Pokémon in your party. 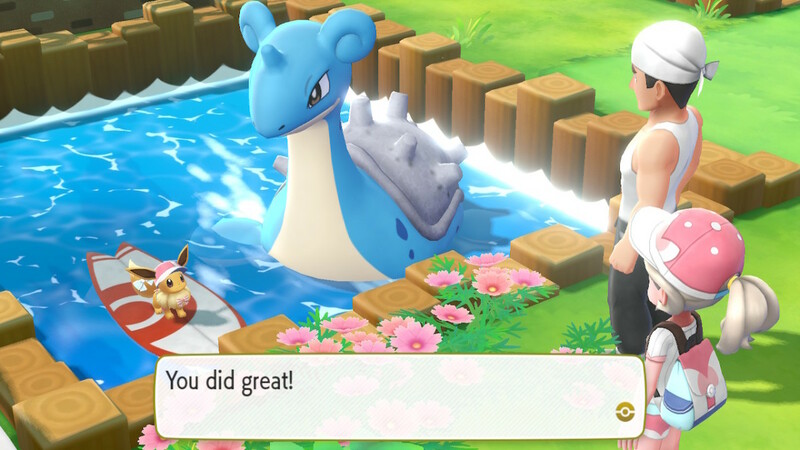 In the new Switch games, however, you can change your team any time you want, as your Pokémon collection is carried inside your bag wherever you go. This can make the game much easier, as you don’t need to plan ahead for what Pokémon you will need for different parts of the game. 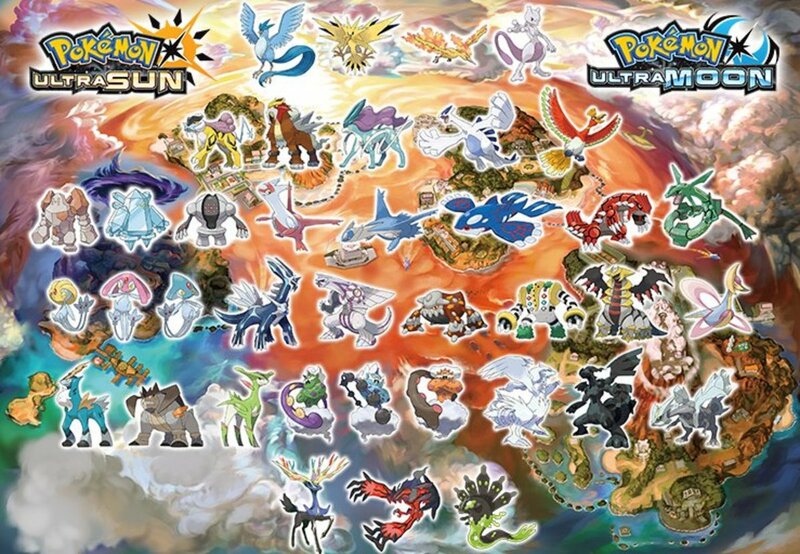 Changing out your Pokémon team also feel less tedious with this system. In addition to having access to all of your Pokémon whenever you want, you can also rename your Pokémon at anytime without needing to visit the Name Rater, so there is no need to worry about thinking of the perfect nickname every time you catch a new Pokémon. 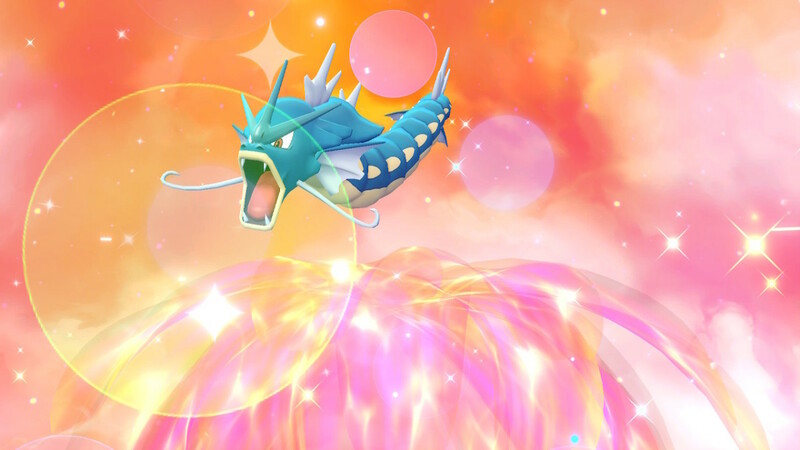 Your partner Pokémon can use these techniques at any time, even if they are not in your party. 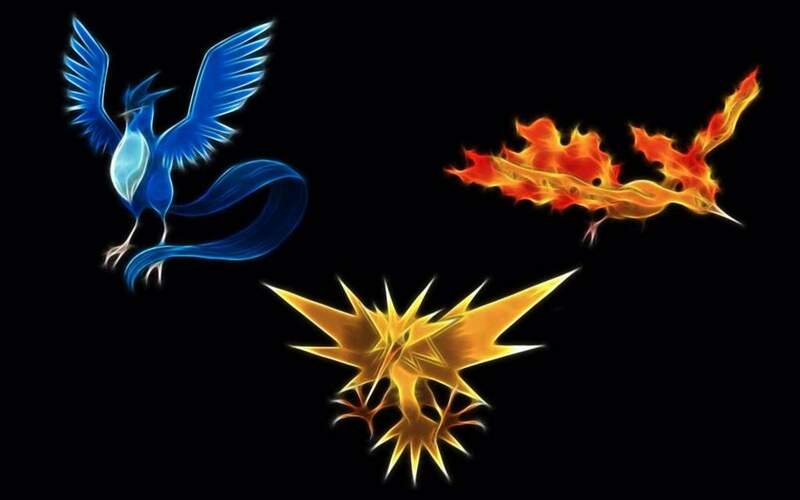 Every Pokémon that is in your party will gain experience during every battle, even if you didn’t use them in that battle, unlike in the original Gen 1 games. Your party will also gain experience whenever you capture a Pokémon, despite the fact that you no longer have to battle wild Pokémon to capture them. Instead of the Safari Zone present in Pokémon Yellow, you will now be able to access the Go Parks in Fuchsia City. 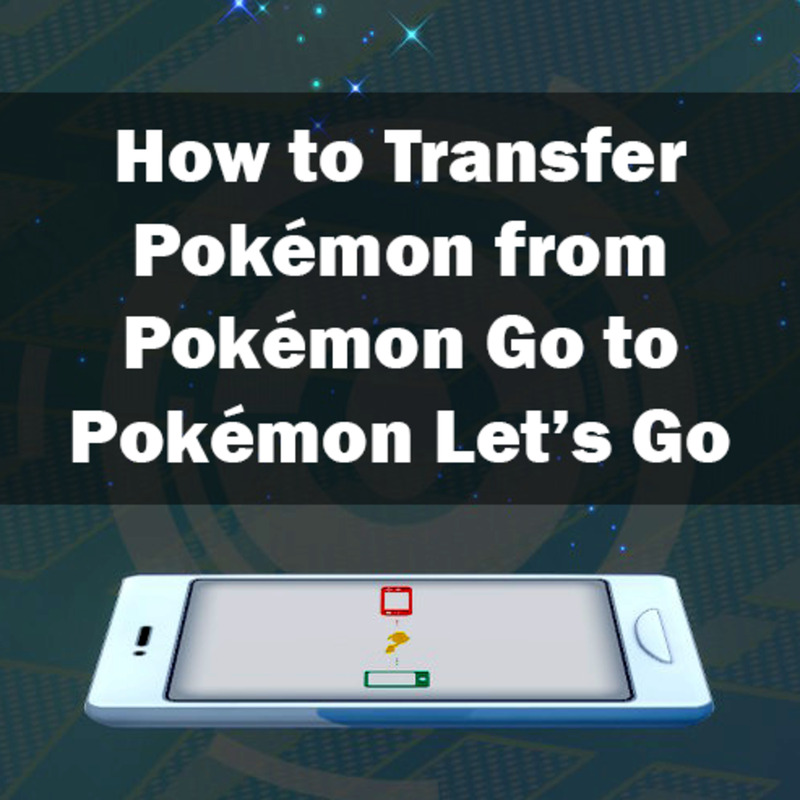 The Go Parks allow you to transfer Pokémon from the Pokémon Go mobile game to the Pokémon Let’s Go Nintendo Switch games. 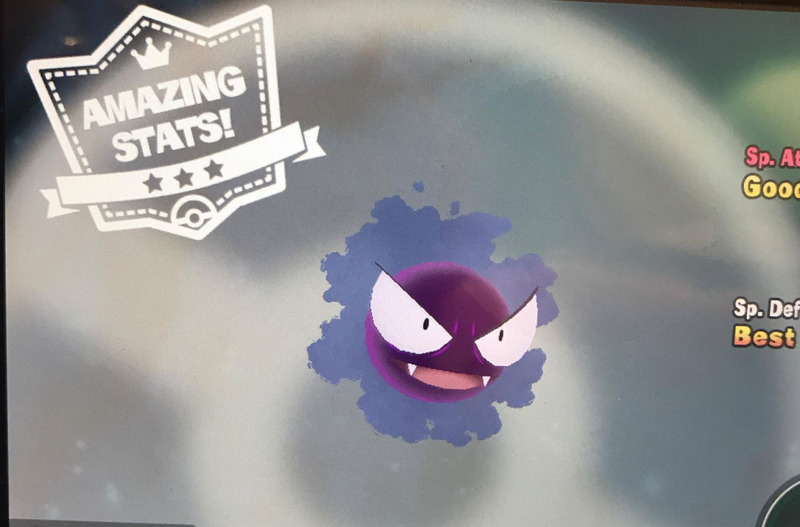 The Pokémon you transfer from your phone will appear in the Go Parks, and you will be required to capture them again, but this is an easy way to fill up your Pokédex. 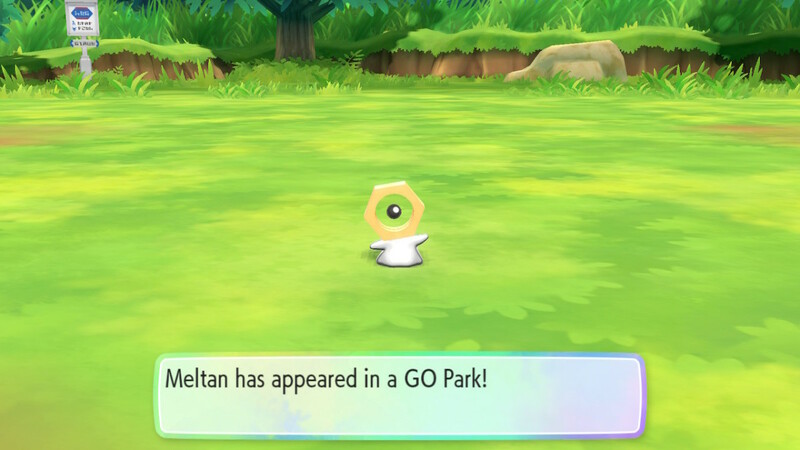 Unlike in the original version, you do not get Safari Balls when you enter the park. You will be required to use your own inventory of Poké Balls, so be sure to stock up before entering. Let’s Go introduces a new Co-Op play feature. This allows a second player to drop in using a second Joy-Con controller at any time. The second player will be using the same set of Pokémon and the same inventory of items, so only play co-op with a friend you really trust. Sadly, there is no way to play this co-op mode with another player using their own Nintendo Switch account, but you can still trade and battle with friends, just like in the original version. 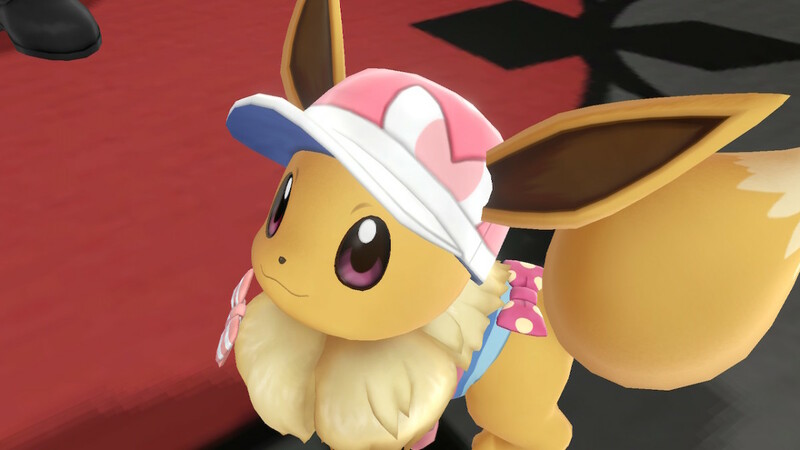 Let’s Go allows you and your buddy Pokémon to find and dress up in a variety of different outfits. You can find several different matching sets of outfits or mix and match different elements from different clothing sets to express your own sense of style. In addition to the different outfit sets, you can also purchase accessories for your Eevee or Pikachu in the department store in Celadon City. 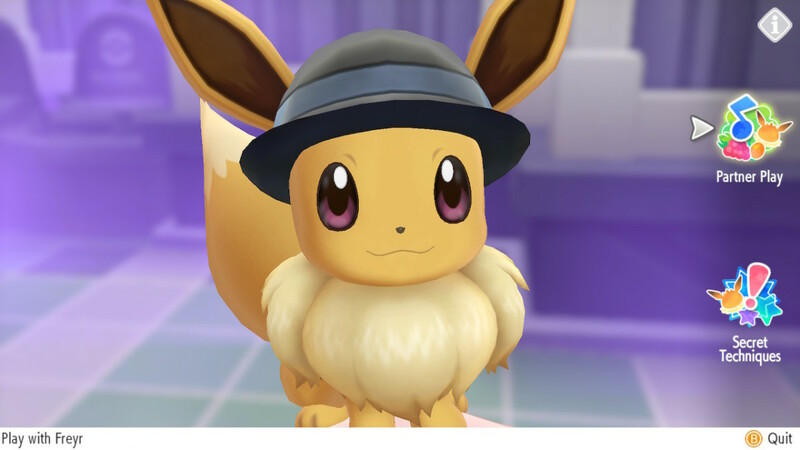 You can also change your Eevee or Pikachu’s hair style. To do this, you must be playing in handheld mode. While in handheld mode, open the menu to play with your buddy Pokémon. Use at least two fingers on the screen to pet your Pokémon’s head. Petting in different patterns will create different hairstyles. 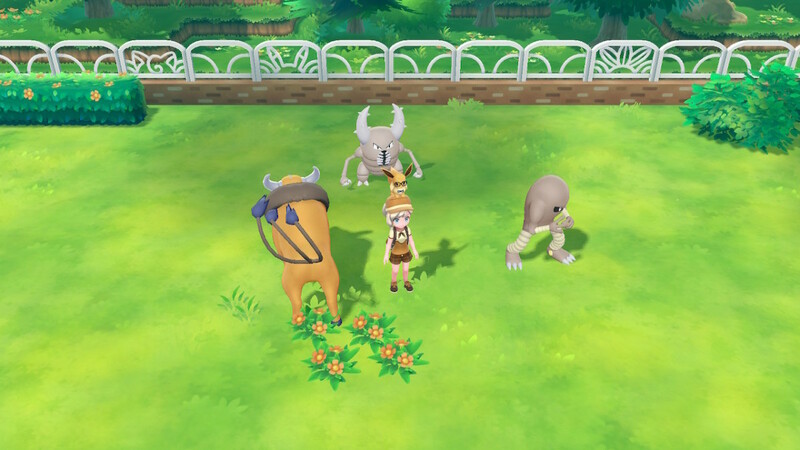 There are two new Mythical Pokémon available in Let’s Go that were not available in any other Pokémon game. These new Pokémon, Meltan and its evolution Melmetal, can only be found in Pokémon Go, and must be transferred from the mobile game to Let’s Go using the Go Park in Fuchsia City. I like to think of these Pokémon as an updated version of Missingno (Meltan kinda looks like an accidental error to me), but I doubt that’s what the developers were going for. I’m sure there are more differences between Pokémon Yellow and Pokémon Let’s Go that I forgot to mention. What other differences between the two games have you discovered? Let me know in the comments.